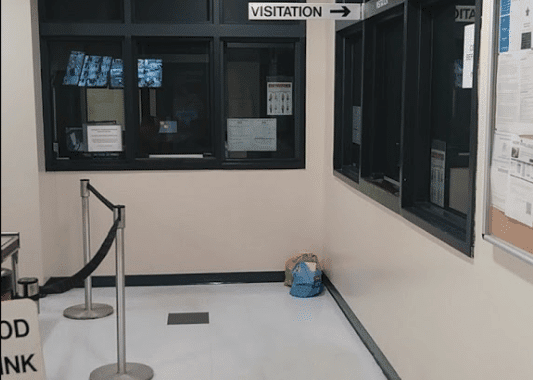 In March of this year, I was offered a wonderful opportunity to share the benefits of Zen Meditation with the general population at the Sarasota County Jail. I originally asked Sangha Member Judy Rosemarin to join me and she generously donated her time each Thursday morning for an hour of sitting and sharing the Dharma with inmates. Unfortunately, Judy will be unavailable for three months this summer. In order to give the inmates continuity of experience, as much as possible given the situation, I have asked Sangha Member Sasha Lee to join me. Sasha is a retired counselor and was previously employed at the Ada County Jail in Boise Idaho as a Substance Abuse Counselor/Volunteer Services Coordinator, so she brings with her a wealth of experience. I am honored and grateful to have Sasha with me sharing her wisdom with the female inmates. Every week, we convert a small classroom into a Zendo and dive into being present and learning how to meditate. This has been a humbling and profound experience for me and I look forward to each week. My hope is that our time together provides an opportunity for change and awakening for all involved. I am learning a lot from the “inmates” and my commitment to the Dharma has deepened. Aren’t we all inmates of our own making? What does freedom really look like? Can you tell me?